Cake picks are a great way to personalize your craft cake or floral arrangements. Simply placing this Pastel 'Happy Birthday' pick in a bouquet or cake instantly adds pizazz to your project! 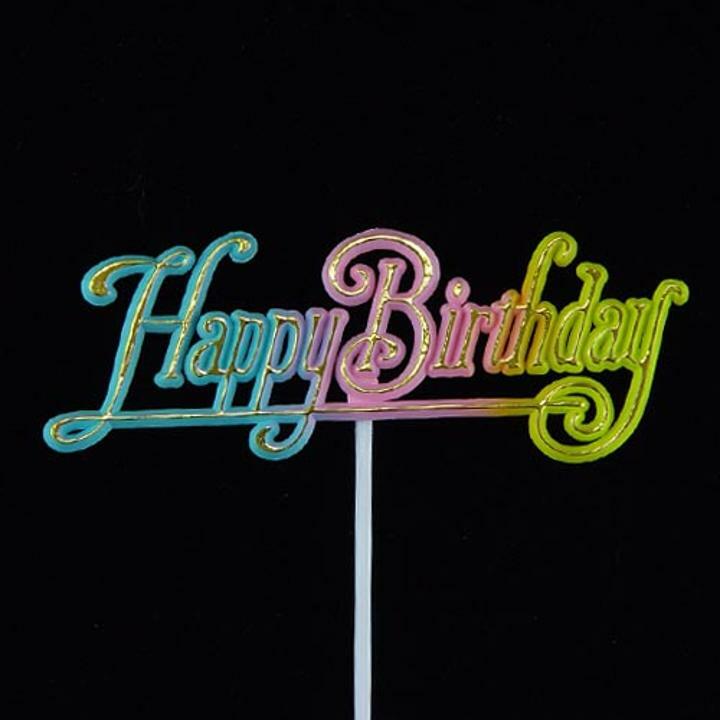 This Birthday pick measures 4.5" x 1.5" and has a 9" stem. 1 elegantly hot-stamped multi hued pick in a package.